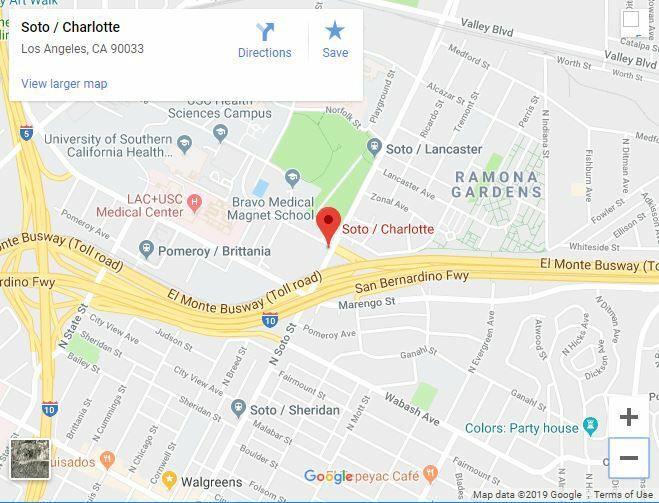 Boyle Heights — A man in his 20s was shot early Saturday morning near the 10 Freeway, police said. Somebody walked up to the victim at about 2 a.m. near North Soto and Charlotte streets and shot him in the back and leg, said Lt. Michael Bautista. The unidentified man was taken to a hospital and is in stable condition. Police found spray cans used for graffitti near the area where the man was shot, but it’s unclear if the shooting was related to tagging. The street is next to the Soto Street off ramp along the westbound 10 Freeway. No further information was available. Anyone with more information can call Hollenbeck station.